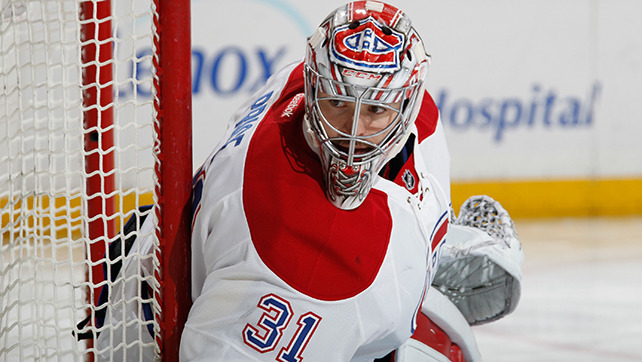 MONTREAL – Canadiens’ general manager Marc Bergevin announced Tuesday that goaltender Carey Price will not return to action this season. The decision was made last night by the Canadiens’ medical staff, head team physician Vincent Lacroix, head orthopedic surgeon Paul Martineau, with Marc Bergevin and Carey Price. “Now that Carey Price’s season has officially ended, here is a detailed description of his injury: Carey sustained a medial collateral ligament injury (MCL sprain) to his right knee on November 25th, 2015 in a game against the NY Rangers. The MCL provides support to the inside of the knee and is essential for stability and knee function. Acute, isolated MCL injuries are managed without surgery. Rehabilitation treatments lead to full functional recovery. The recovery process can be long in the case of an elite netminder such as Carey, due to the high demand placed on this anatomical structure by modern goaltending techniques. Although Carey has made excellent progress and is very close to being able to return to competition, he has not presently been cleared to do so. He is expected to make a full recovery over the off-season. This injury was not the same as the one he suffered earlier this season (October 29th at Edmonton), nor in previous years,” said the Canadiens’ head physician, Dr. Vincent Lacroix. The Canadiens also announced that the following players will also be out for the remainder of the season due to injuries: P.K. Subban (neck), Mark Barberio (concussion), Victor Bartley (groin/broken foot) and Lucas Lessio (right knee).